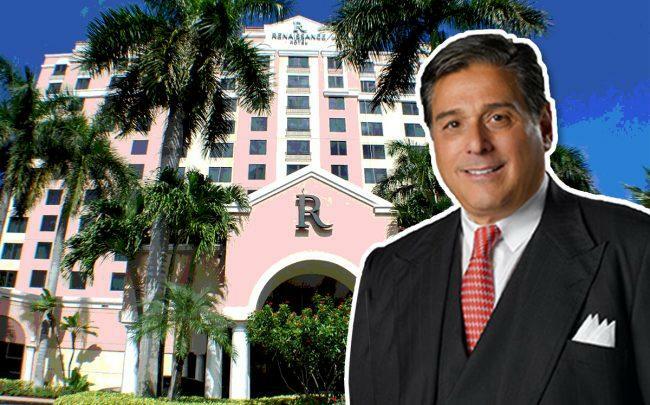 Wurzak Hotel Group bought the Renaissance Fort Lauderdale Cruise Port Hotel for $62.2 million, signaling growing interest for hotel properties in Broward County. The Philadelphia-based hotel group bought the 236-room hotel near Port Everglades at 1617 Southeast 17th Street for about $262,000 per room. Wurzak bought the Marriott-branded hotel from Atlanta-based Noble Investment Group, records show. The hotel sold for a sharp increase compared to the last sale price. Noble Investment Group bought the property for $48.1 million in 2015, records show. The hotel was built in 2001 and totals 254,606 square feet. The hotel also has a 3,784-square-foot ballroom and a restaurant, Bistro 17. Wurzak secured $42.2 million in financing from Barclays Capital Real Estate to purchase the property. Wurzak owns hotels largely in Philadelphia in the Hilton Worldwide and Starwood Hotels and Resorts brands. Demand for hotels is growing in Fort Lauderdale due to the city’s growing economy and destination as a cruise hub. In 2018, the two biggest hotel sales in South Florida were in Broward County, including Brookfield Asset Management’s $170.6 million purchase of the Hilton Fort Lauderdale Marina.